The Supreme Court today delivered its judgment in the contempt petition filed by SEBI against Sahara. The Court throughits judgment allowed Sahara to sell certain properties in UP and ordered the proceeds to go to SEBI-Sahara Refund Account after adjusting transaction cost and taxes. The Court however declined to unfreeze the accounts of the Group, saying that the Sahara Group can use the surplus amount it has after it complies with the order of the Supreme Court by which it had fixed the bail amount of Mr. Subrata Roy and others at Rs. 10,000 crore. The Court in its judgment also gave the format for the Bank Guarantee of Rs. 5,000 crores which is to be produced by Sahara to fulfil the bail requirements. In the judgment delivered by the three judge bench consisting of Justices Sikri, TS Thakur and Anil Dave the Court also observed, “contemnors/applicants have failed to give satisfactory proof of redemption of ₹17,400 crores by SIREC Land ₹5,442 crores for SHICL” and accordingly refuted the claim made by Sahara. The matter thereafter had reached Courts wherein even the Supreme Court ordered Sahara to pay back its depositors. 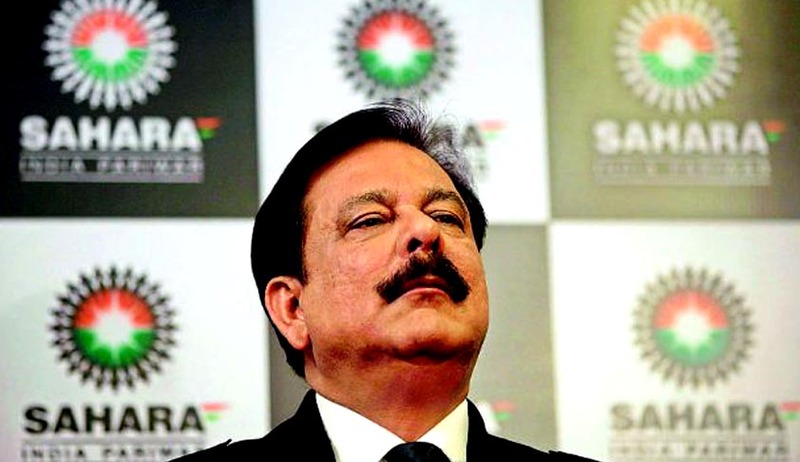 However, Sahara failed to comply with the orders of the Apex Court and eventually, the Supreme Court ordered non-bailable warrants against Mr. Subrarta Roy and two others. However, Sahara was not able to produce the Bank Guarantee today and accordingly, the three judge bench ordered that Mr. Subrata Roy will stay in jail till the bank guarantees are submitted to the Court. Justice TS Thakur also observed that the judgment was delivered only after it was assured that the bank guarantees would be submitted. To this, Senior Advocate Kapil Sibbal submitted, Yes, but the bank backed out after media reports came out on the proceedings." He also said that it would be tough for Mr. Roy to pay up without getting out of jail. The Court also agreed to allow the conference hall facilities available to Mr. Sahara for another eight weeks.